The world of e-commerce sells countless products to customers, like books, shoes, razors, monthly subscription boxes, and even groceries. But it’s also created new ways of thinking about selling and distribution—namely, through a retail fulfillment method called dropshipping (a streamlined and interesting way to manage both online stores and distribution companies). As your e-commerce partner, you know we’re all about packaging—which is something sellers and distributors often don’t give much thought. Let’s check out the benefits of branded packaging for dropshipping. Simply put, it’s a way for you to create an e-commerce business without having to worry about managing inventory. When your store sells a product, you buy the item from a distributor who ships it directly to the customer. You never actually see or handle the product. This makes it easier to start out, as less money and planning are needed to get things moving. It can be run from nearly anywhere, and it gives control over the things you sell—you can offer all sorts of product lines, or concentrate on just one or two. As with most things, there can be difficulties. With fulfillment out of your hands, you have no control over inventory, shipment speed, or product quality. But, you take the brunt of the blame (and potential anger) should any of those things affect a customer. If you’re interested in trying dropshipping, you shouldn’t let these things keep you from entering the fray—but you should be aware of them. If you’re the seller, you never see the product and don’t have to package it. And if you’re the distributor, you may feel that paying specific attention to a seller’s packaging needs isn’t necessary. So then, why should either of you worry about paying attention to packaging for dropshipping? Two reasons: it’ll make you look good, and it’ll make you more money. A properly packed, good-looking and undamaged shipment makes for a happy customer. A happy customer will buy again from your online store, netting you more money and making you a happy seller. And a happy seller is likely to stick with you as their distributor, earning you more money and providing you with more incentive to pack shipments well. You do your best to ensure that customer orders are packed properly. That’s absolutely the first step in solidifying a relationship with your seller. But, to stand out in today’s dropshipping industry, it would benefit you to take things further. There are lots of distributors out there, giving online store owners plenty of options for who they buy from. And, while the type and quality of your products is important, a solid differentiator can take you to the top of the pack. Packaging—or more specifically, custom packaging options—can do just that. Most distributors send orders in plain packaging (e.g. kraft corrugated boxes). 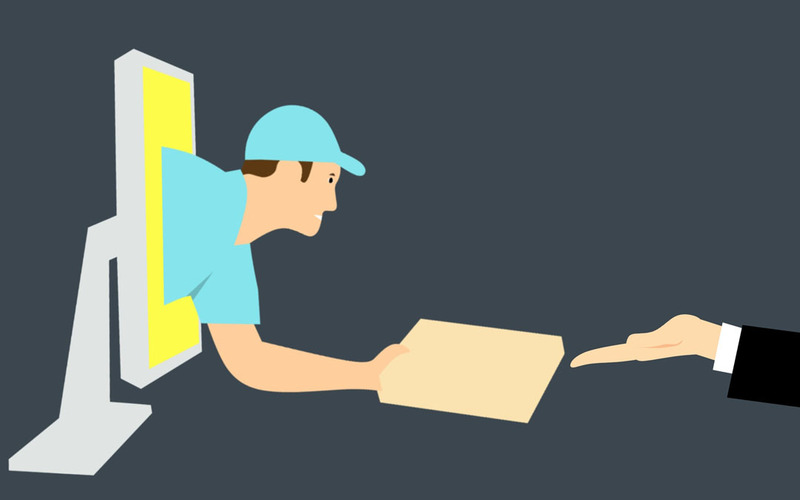 This serves two purposes—to mask the dropshipping process from customers, and to generalize a distributor’s packaging efforts. This makes things efficient, but it also makes them impersonal. You can elevate your business, and reward your sellers, by offering simple branding or custom packaging options. To ensure cost-effectiveness and fair use, you can restrict these options to high-volume or long-running sellers—or even offer branding at a small monthly cost. It’s an investment of time and money, for sure, but it’s one that can pay off in big ways. As a seller, you’ll be offering the same products as your competition. Sure, lower pricing can make you more attractive, but you’ll eventually render your business unprofitable. Don’t underestimate the power of packaging with even the simplest of branding. Customers form loyalty to businesses that both stand out, and make their customers feel appreciated. And while custom dropshipping packaging isn’t a commonplace thing right now, there are distributors beginning to dabble in it. Form a strong, reliable relationship with your distributor, and you’ll both find ways to prosper. It’s exciting to dip your toes into a new business opportunity, isn’t it? Making smart and strategic packaging for dropshipping choices can meld together customer satisfaction, shipment safety and profitability—for sellers and distributors alike. When you’re ready to source custom branded packaging, whether for short-run or something more, be sure to get in touch with us here at The Packaging Company.